Love is the key to successful parenting. When it comes to building our child’s self-belief and esteem, telling and showing them that we love them as often as possible makes a big difference, no matter what age they are, he says. Even on difficult days or after a disagreement, when we might not feel particularly loving, it is most important to reconnect with our love for them and to express it. Principle Four with Young ChildrenEven young children are experts at detecting hypocrisy. Acting as if you have no flaws or problems can seriously damage the communication between you and your kids. “Be Yourself” sounds simplistic, but having an awareness of who that is requires you to be thoughtful and slow down, accepting yourself for who you are, where you came from, and what you truly believe. To empower means not to overpower or disempower. We need to learn to separate ourselves from our children in order to empower them correctly. Enmeshment — too much identification with our children — can lead to tightening and anxiety as they move away and begin to be who they are. There are many examples of situations that could be perceived as “failures” but, because of internal empowerment, are actually successes. For example, it took Thomas Edison more than twenty years and thousands of failed experiments before he invented the electric light. Many famous authors were rejected numerous times before being published. Most successful people had many failures along the way. Helpless people who are not internally empowered cannot respond to rejection and adversity in their proper context. Life may not be fair, but our response to obstacles and adversities is learned. If you are overly concerned about what other think of you as a parent or what they think of your children, you cannot be genuine and flexible — two important aspects of empowerment. If your own sense of success and happiness is dependent upon your children behaving a certain way, making certain choices, or living up to certain standards and expectations that are predetermined and rigid, you can’t empower your children to be healthy, powerful adults who make good choices for themselves. If you feel like a failure when your children make mistakes, get bd grades, or don’t make the team — if you feel constant pressure to make them a certain way so that you feel good about yourself — you will have difficulty with this principle. The subject of power is a huge one, worth looking at both within and outside the context of Tai Chi and Taoism. It is vitally important for parents to understand power, because the way we use or misuse it in our own lives is the way we teach our children about their power, our power, and other people’s power and that is probably the most significant lesson we teach. The right use of power results in self-respect, respect for others, confidence, fearlessness, and balance. The Tao or the Way is where all true power resides. In Tai Chi, the exercises learned with the body teach you something about chi or the life force, the power of the Tao that comes through the individual. In the Indian system of yoga, issues of power reside in the second and third chakras, located roughly in the navel area. In Tai Chi, our center of power is called the tan t’ien (in Chinese) or hara (in Japanese), and is located in essentially the same place. It is from there we get and transfer power, which is rooted in the earth, and comes up through the feet and legs. Tai Chi is a martial art as well as a spiritual practice — and certainly raising your child should not involve fighting or power struggles, and it should definitely not require hitting or striking of any kind. When we look at Tai Chi practices, it is within the metaphoric context of using our power correctly, knowing how to change the energy in a situation of potential frustration, angers, or power struggle, and knowing how to help our children learn to get in touch with and utilize their own internal power. In Tai Chi, one of the first exercises practiced with an opponent is called “attaching steps.” The student paces the partner, trying to perfectly match her moves and intentions, as if he is attached to her. This requires learning how to get inside the other person’s shoes, so to speak, to be so at one with her or attuned to her that one automatically moves with the other, not a moment after. Try this with your child — mirror her moves to understand her energy. With the aid of breathing and meditation practice, the student can then move on to what is called “listening power” — building a connection and communication with the “opponent” (in this case, your child who is in opposition) so you can then precisely detect the opponent’s level of strength, center of gravity, motivation, speed, and so on. This gives you tremendous power, as you can then anticipate an opponent’s moves and use the opponent’s own force to defeat the aggressive energy coming from her. Now respond to your child, mirroring her movements and speaking what you perceive as her feelings. Continue to mirror, to listen, to allow your child to clarify. To “empower,” in Tai Chi, involves a technique called “transferring power.” It can be used for harm, that is, to transfer your power through a slap, a spank or kick. It can also be used for good by helping your child become aware of his or her own power, without giving or loaning them yours. The kind of power we seek to cultivate as parents is the power of the Tao. Like water, it is smooth, flowing, yielding, penetrable, yet strong enough to “round off the sharp edge” of things. 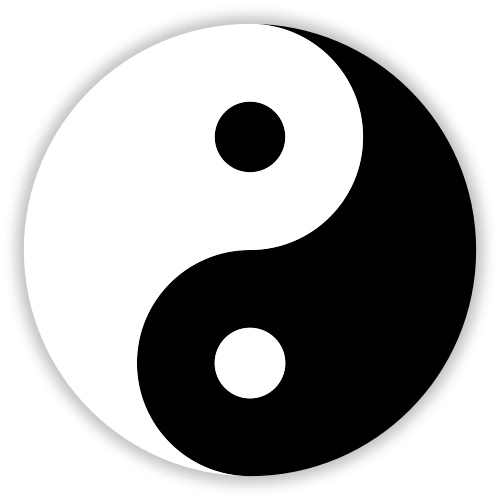 Won Chung-Ya, an ancient Taoist master, emphasized the importance of avoiding “double weightedness” — that is, reacting the same way every time, getting stuck on one way of responding, being always on one side of the yin/yang balance. He had his students practice constantly moving so when they were up, they became aware of down; when they were right, they were aware of left. They learned that not responding to the “opponent” appropriately for that specific moment and that specific person and that specific interaction results in difficulty and awkwardness, which leads to defeat. We are so accustomed to “taking a stand” that we forget the universe is constantly moving, shifting, and changing — even rock changes, over a period of time. So in our approach to our children in this ever-changing phenomenon we call the world, we must be flexible enough to remember that each child, each situation, each time, each incident, and each interaction is different from any other. Though we connect ourselves to principles that don’t change, such as unconditional love, respect, empowerment, the way we respond within those principles must be flexible according to time, place, and person. These days, few families take the time to have meals together, and I believe this is a great loss. Having at least one meal together every day has always been high on my family priority list, and though my children sometimes complained, wanting to be like their friends and eat on the run, when they were older we ate together at least one night a week, and they complained if we didn’t. Humans are built for ritual. It is the ritual celebration of what is good in our lives, of our connection to each other, that makes life rich. If you don’t do it already, I’d like you to consider having at least one meal together every day as a family. Responsibilities for cooking, cleaning, and atmosphere can be rotated or divided up. Keep it light, let the kids have a little fun, and try to find some funny stories to tell. It’s wonderful to start the meal by saying grace, if that’s comfortable for you, or just thinking creation for food and togetherness. When we ate together only once a week, holding hands and giving thanks for our connection, our safety, and our food was important to us all. After dinner, we sometimes watched a movie or played board games or just sat around and talked for a while. The kids’ friends and sometimes one of my friends or family members were invited and treated with the relaxed acceptance of family. It got our week started in a way that made us all feel part of something bigger, and reminded each of us how fortunate we were to be so loved, regardless of what else was going on in our lives. Small children like it when the same blessing is said every night. For children, ritual means safety, stability, and continuity. Having table decorations to celebrate holidays or the seasons added festivity and remembrance to the meal. When the kids were adolescents, naturally rebellion had to come out around this ritual. The kids would refuse to say the blessing, or when it was their turn, say something silly. the boys would find some way, at some point in the meal, to start talking about something gross or disgusting to the adults. At first we tried to stop and control it, but that just led to a tension-filled meal that was no fun. Finally we let it go. Then it was a kind of family joke. As the boys grew older, they would wait until the very end of the meal to bring up something totally tasteless, just to let us know they hadn’t for gotten — and we’d all laugh. Eventually that little “tradition” went by the wayside as they grew up and got more interested in the food and the positive energy of our family being together. By taking the long-term view, keeping the end in mind, I allowed them to work through this period in their lives. Sure enough, it eventually just died away. Unfortunately, it often seems that just about the time life is going smoothly, we find some way to get caught up, once again, in our unhealthy thinking— speeded up, worrying about a bill, concerned about the future, regretting the past, resenting something that happened at work, or simply consumed in our to-do list for tomorrow. There are an infinite number of ways to get off track. However, they all have one thing in common: They are the result of our own thinking. When we recognize that we are thinking, however— when we remember that we are the thinker responsible for the feelings we are experiencing—we then have the capacity to wake up and bring ourselves gently back to the moment. Slowing down allows us to see aspects of life that were previously hidden in the frenzy of a busy mind. It allows us to open to the radiant, joyful feelings that reside within . We find that beneath the vicissitudes of our thoughts lies a spaciousness, a peacefulness of being, that is incomprehensible to a mind caught up in analytical thinking or a mind operating too quickly. When our mind isn’t racing to the next series of thoughts or holding on tightly to old ones, we gain access to the peaceful feelings of our innate mental health. Those of us who have children know how quickly they grow up. One minute they’re keeping us up at night, and in what seems like the next minute they would rather be out at night. One minute all they want to do is spend time with us, and the next we are the last people they want to be with. Yet despite knowing how short is the time we have with them, most of us seem to speed through our parenting years, almost wishing them away. We tell ourselves, “I’ll be happier when the infant state in over”; “I’ll be relieved when we’re out of the terrible twos”; “It will be so much better when the teen years are over.” But, ironically, as our children grow up, we convince ourselves of the opposite by rewriting our personal history. “It was so much nicer when the kids were little”; “I miss the baby stage”; “I long for the days when my kids took me seriously.” In short, we miss most of the present moments of our parenting experience by focusing our attention on thoughts of the future or memories of the past. Our minds are spinning a mile a minute, trying to get everything accomplished. We go back and forth between believing that “ someday” will be better than today, and convincing ourselves that “yesterday” was better than it really was. Rather than immersing ourselves in the present moments of our experience, we keep ourselves one step removed from life with our own thoughts. Slowing down so powerfully enhances the raising of children that parents who find raising supposedly impossible teenagers will find it as wonderful and rewarding as raising a tranquil eight-year-old. By learning to live in and appreciate this moment, regardless of how it may be unfolding, instead of reliving memories of the past or anticipating moments yet to be, you too can transform your experience of parenting into a peaceful one. Sit comfortably, close your eyes, and relax each part of your body. If you decide to take your children to the grocery store, try to think of ways to apply Principle One (Relax) and Two (Slow Down).With babies between the ages of six months and three years, you must be willing to handle it when your child cries, fusses, grabs, wiggles, and wants. Our culture frowns on crying in general. If your baby cries in the supermarket, some people will be annoyed and glare at you as if you should control your child. But most are more sympathetic than you might imagine. Often they will take their cues from you. If you smile, shrug, relax, and treat your child with love and kindness, that energy is contagious — others smile at you in sympathy, especially parents. With older children, allow plenty of time so grocery shopping can be a teaching expedition and an adventure in making choices. Give each child an opportunity to choose between one style of beans and another, or show them how you read the labels and compare the prices and ingredients, or how to choose the freshest produce. Let them pick out some of their lunch items and treats for the week — again, using specific choices so that you are ultimately in control what gets chosen. I suggest you allow the occasional forbidden treat to de-emphasize its importance in your child’s mind. Later, I’ll talk about how to use these times to show the consequences of dietary choices in order to help your child choose foods that are nourishing. Allow the child to pick out items for others the family, like presents. Above all, try to prevent grocery shopping from becoming associated, in the child’s mind, with pain, challenge, and power struggles. Don’t use treats as rewards, but save them to use as fun snacks for the movies or some other occasion. Listen to your children tell you what other kids have in their school lunches, and try to include some of these items, even if you don’t technically approve of them. Supporting their emotional needs is just as important as nourishing their bodies, and as long as they are getting the kinds of food you want them to have at home, a “no-no” here and there won’t do any harm. You don’t want your child to eat alone and be made fun of because she is the only one with a seaweed sandwich. On the other hand, you do want to slow down enough to take the time to educate your child about food. Our family is vegetarian, and, while you may not agree with my choices, I think you can get an idea about the importance of teaching your child about food from the following example. I made sure my children knew from day one that they were vegetarians and most of their friends’ families were not. I let them know it was a matter of choice, and didn’t mean people were bad or weird because they chose differently. But I also wanted to make sure that well-intentioned friends and family would not feed my kids meat when I wasn’t around. I simply told my children the truth, right from the start — the truth about what a hamburger, hot dog, bologna, “nuggets,” and so on really are: dead animals. Didn’t give them a lot of detailed explanations, though that came later as they began to ask more sophisticated questions. I used opportunities such as commercials advertising ham, steak, and “Buffalo wings” that showed dancing pigs or cows or chickens to point out the truth and ask the children what they thought. Did they think the pig, chicken, or cow really felt happy to be slaughtered and eaten? 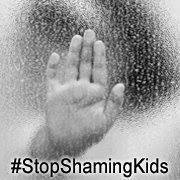 We would talk about it without forcing my opinions; supporting what the kids came up with and not inserting guilt or shame into the conversation. I let them know that, when they were old enough to live outside our home, they could make their own choices about this issue. As the kids grew older, I encouraged them to use the opportunity of having to do speeches and school papers to find out more about these issues, so they felt educated about why we are vegetarians and could answer other kids’ questions. In addition, I wanted them to make their own choice about it when they were old enough, and I wanted that choice be an informed one. When my daughter was in high school and editor of the school paper — and this was a rural midwestern, small town high school whose graduates were 60 percent farmers — she used the opportunity to have an editorial debate on vegetarianism with a meat-eating friend. It turned out to be a very positive experience that gained her respect at school. Kids came up to her and said, “Wow, I never knew that!” Of course, others took the opposite side and sometimes teased her about it, but her editorial was so well written that none of them could bring themselves to make much fun of her. She learned that sometimes knowledge truly is power. 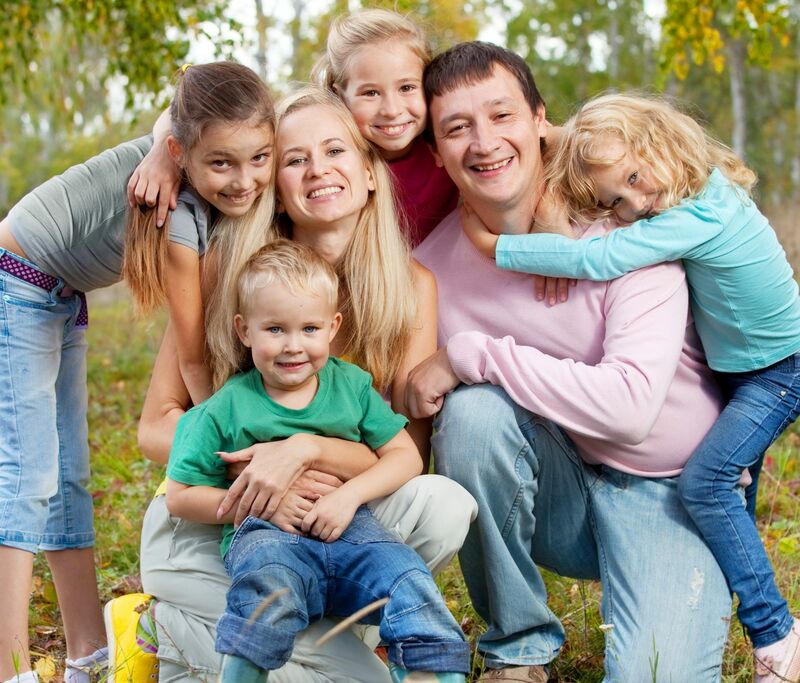 I tell these stories to give you some examples of how you can educate your kids about your family choices. I had to slow down enough to make this issue important and help my children do their research. Another added benefit was that I could show my kids how to research their questions, find facts, statistics, and anecdotes to back up their theories and opinions, find out why the “other side” thought the way they did, and expose false information as fraudulent. Teenagers love that! If you want your kids to embrace certain values, you must slow down enough to teach as well as parent, and to back it up with more than just your opinion or experience. The parents’ use of guilt, shame, withdrawing love or cultivating anxiety — all examples of psychological control — set the adolescents on a long-term trajectory toward badly functioning relationships in the future. As predicted, the researchers found that manipulative parental psychological control ultimately undermines the youth’s ability to properly express autonomy and relatedness when in disagreement with close friends and later on, romantic partners. This shows the importance of the transitional period from early adolescence to adulthood. “The transition period from early adolescence to early adulthood is the time when the peer group matters more and determines how they are able to navigate those relationships and the expectations going into new relationships,” Hessel said. Researchers emphasized that without the right parental guidance, adolescents will be ill-prepared to manage their relationships. “Guilt tripping your kids won’t be good for them in the long run. You can still have an influence over your kids at this age and let it be a good one.” They suggested that parents often fall into the trap of psychological control when they don’t slow down (and relax) enough to warmly engage with their kids. We rarely have grandparents — as many indigenous cultures do — who can do this educational part for us while we go out there to make a living. It does require some sacrifice to relax and slow down enough to seriously engage with your kids. But it is a short-term sacrifice, because children are not children for long. And believe me, the time spent is well worth it when you look back on it after they are grown. The children not only have the benefit of being educated about what you want them to know, but they understand, in their very bones, that you love them enough to give your time and energy to the process, over and over again. What you get is a great feeling of pride in yourself for being the best parent you can be, leaving a positive legacy that will last for generations, and learning a great deal in the process. Building Self-Esteem with Love, Affection and Attention – Self Esteem. In addition to clear, open communication with their parents, children also require attention and affection – in a word, love – from their parents if they are to develop healthy self-esteem. Parents need to celebrate their children, pay attention to them and actually demonstrate their love in concrete ways.